Asian Arts Agency is pleased to offer bursary places for this year’s WOMEX which is due to be held in Katowice, Poland from 25 – 29 October. 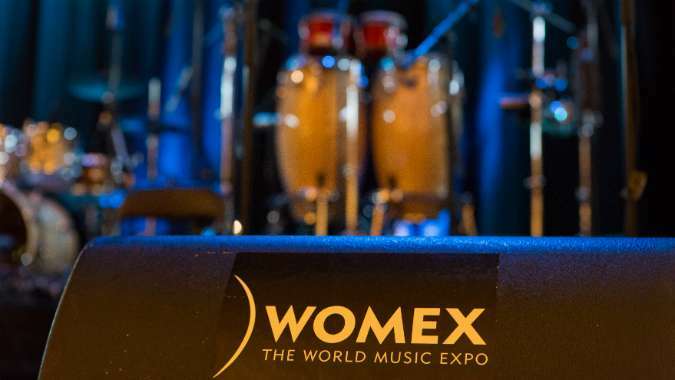 WOMEX is an international networking event for the world music industry. The annual five-day event comprises a bustling trade fair, showcase festival, conference and film programme as well as festive opening and award ceremonies. The bursaries are part of the Agency’s growing international work, which includes development work for artists. We are offering the bursaries to emerging England based artists in the ‘South Asian music’ sector who have an interesting project to promote that is ready for international markets and are able to demonstrate regional and national success in the UK. Preference will be given to artists who have not attended WOMEX before. The bursary is open to musicians, producers and artists in the South Asian music sector. The bursary will be for a maximum sum of £800 which will go towards the costs of your flights, PD’s and delegate pass. Asian Arts Agency will purchase the delegate pass on your behalf and deduct the cost from the bursary amount.